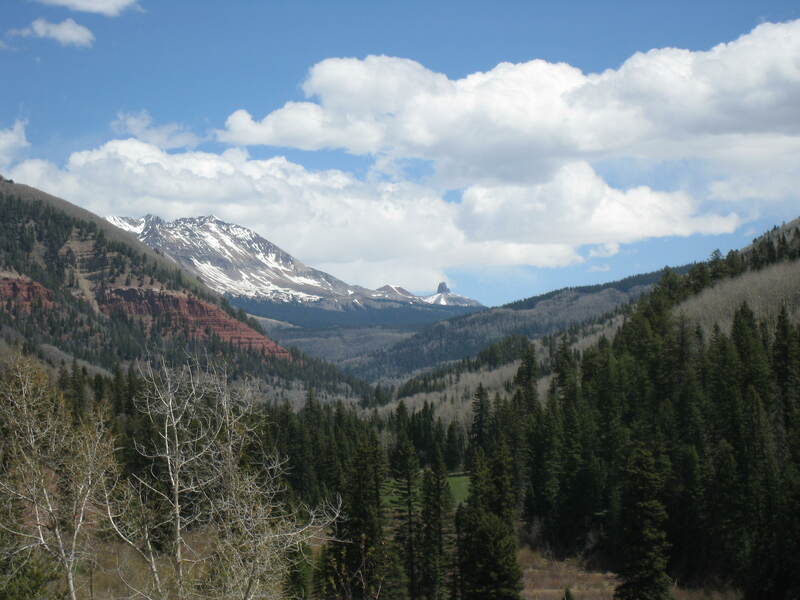 Looking upstream along the West Fork of the Dolores River towards Lizard Head Peak. At long last, we took our first family hike this weekend! We’ve been here in our new home for about 1.5 months, and had yet to take a hike. Aaron has been hard at work and I have been taking care of Mia. 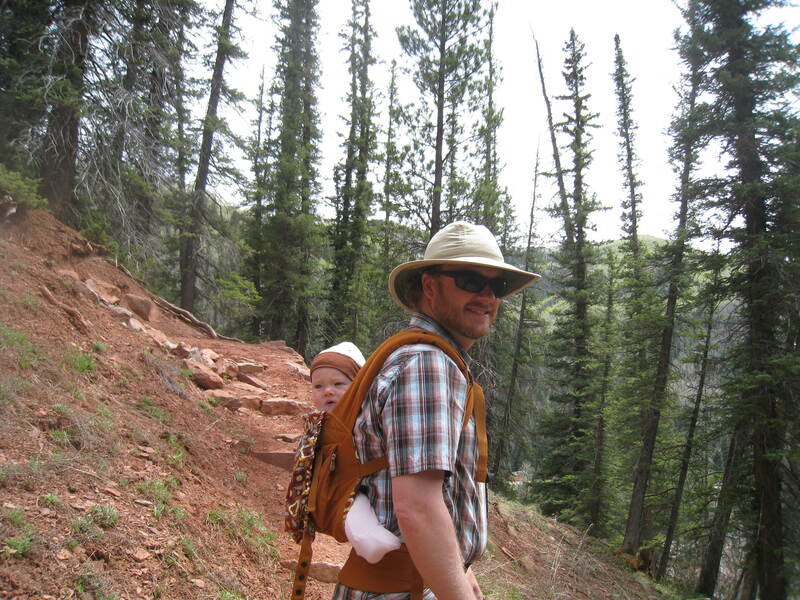 Of course, I used to think nothing of going hiking alone (of course, with the necessary precautions, like telling someone where I am and when I would return), but it doesn’t seem prudent to go out on a trail I don’t know with a 7-month old. That, and we have still been unpacking and getting settled. So we’ve been biding our time until now. Looking downstream on the West Fork. 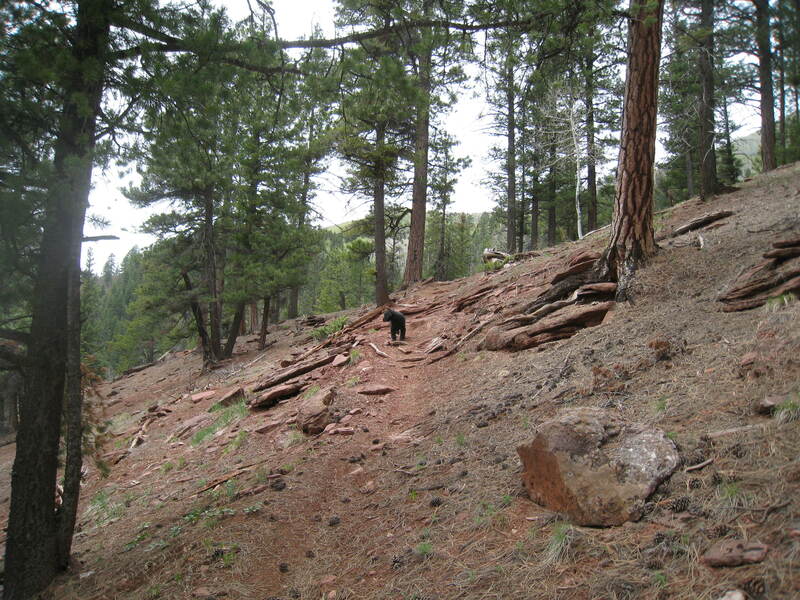 We had picked out a few trails within a 30-60 minute drive of our house, and headed out. Our newest family member requires a bit more flexibility during most activities, so it was good to have options. 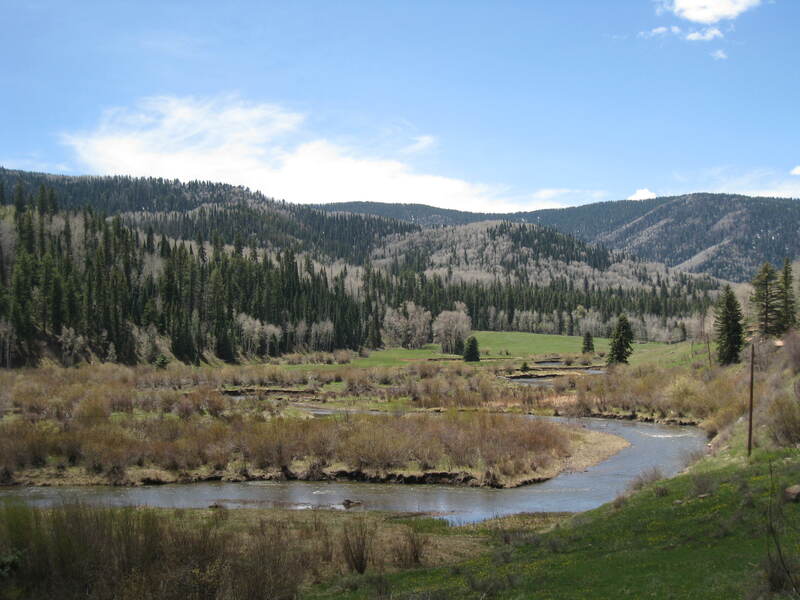 Mia fell asleep quickly in the car; we let her sleep and enjoyed a leisurely drive up the West Fork of the Dolores, where we scoped out the lovely scenery, trail heads, ranches, houses, and old mining towns. Mia was still asleep, so we went back down the West Fork and continued upstream on the main stem of the river towards Rico. We stopped at the Priest Gulch and Calico Trail Heads with the intention of taking the former, until we saw an off-road dirt bike cruise through the parking lot and down that trail, so we opted for the Calico Trail instead. The Calico Trail, while still open to motorized-vehicles, is much steeper and, thus, (we hoped) less likely to have motorized traffic. In fact, we didn’t see anyone else at all. 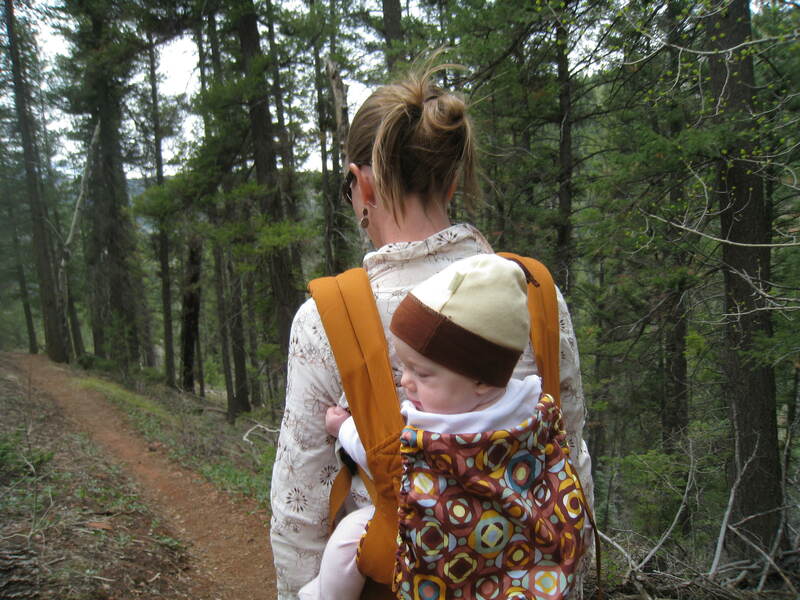 This was the first time we used the Ergo carrier with Mia in the back. It was comfortable for us and for Mia. She was snug up against one of us and still free to look around (either side) and chew on her fingers and the straps. And, we can pull a cover over head for shade and/or naps. 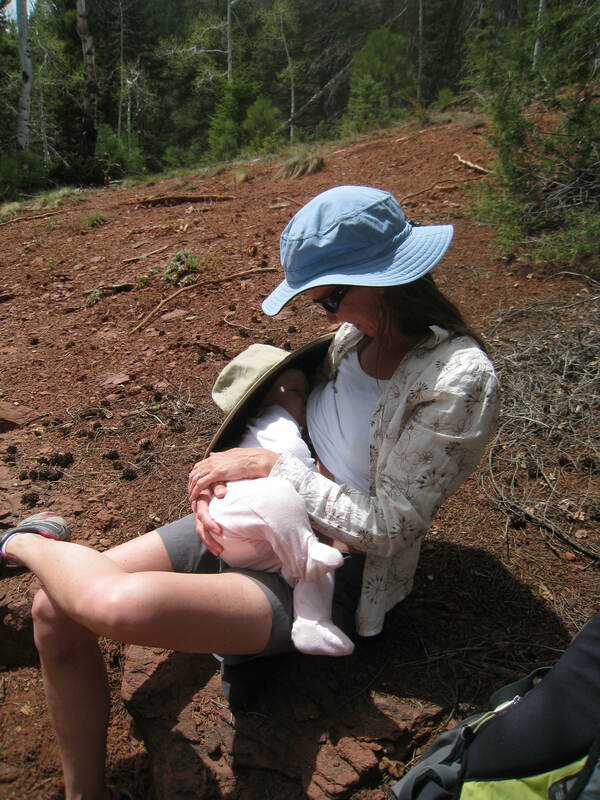 She was awake and looking around much of the time; we stopped for a snack for her, and then she slept a good part of the way back down. Tico was also happy to be back on the trails. We are feeling quite privileged to be living here in this beautiful place and to be able to get outside and enjoy it as a family. We’re looking forward to next weekend so we can do it again. This entry was posted in Family, Mia. Bookmark the permalink.